Virtual power station: what is it and what is it for? - Альтернативная энергетика - статьи и новости в мире и в Украине. Головна alternative energy Virtual power station: what is it and what is it for? What is a virtual power station? 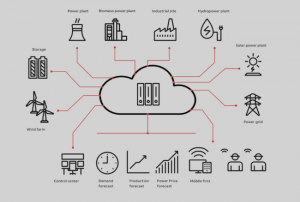 Virtual power plants, micro networks and other systems operating autonomously represent an entirely new technological level of alternative energy. Many analysts argue that these systems are technologies of the future. It should be noted that the virtual station is far from the traditional understanding of generation production – it is a cloud IT system. Directly connected to the virtual power plant are sources of electricity and households of consumers. Primarily, low-power objects located nearby are used as an energy source. The virtual power station performs, first of all, the distribution function, that is, it delivers all the incoming electricity in a certain amount to consumers. In addition, the system is able to help accumulate energy, exchange or sell it. Electricity can be sold both in the system itself and outside it, that is, in the conditions of the external energy market. – software that monitors the operation of the power grid. A virtual power station allows all components to interact with the highest possible efficiency. The system monitors both demand and supply. Within the network, a number of trading processes are carried out, launched in conditions of maximum benefit to consumers. With the help of software, the volumes of electricity produced are managed on the basis of existing consumer demand. It is also possible to regulate demand, depending on the amount of electricity available in the system. It should be noted that in the conditions of virtual power plants, a large part of consumers act as energy generators, since photovoltaic panels or wind installations are installed on the territory of the household. The IT system operates in a fairly understandable manner, although management processes involve a number of rather complex functions. The system is controlled by a special platform, which acts as a kernel. The platform stores, stores and processes a series of data on electricity producers and consumers that are part of a virtual power plant. The kernel has access to the regulation of the work, both the consumer and the producer. As information about the manufacturer, information is used regarding the equipment’s capacity, current generation of electricity, equipment status, operating characteristics, the owner of the station, and so on. 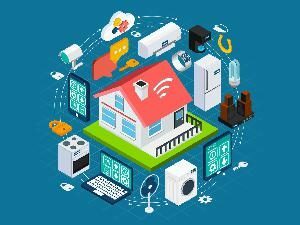 Information about the consumer includes the number of household appliances, the time of maximum energy consumption, recommendations for savings and the peculiarities of household consumer habits. Thanks to the software, the demand and supply indicators are reduced to a single point. When there is an excess of electricity, the system redirects it for accumulation. When there is an acute need for energy, the previously accumulated kilowatts are used to satisfy the energy needs of the consumer. In addition, the system can intervene in the energy consumption of a particular house. This is necessary in order to create a balance in the energy system without using the accumulated energy. The maximum number of such systems is installed in Australia. The largest virtual power plant is located right there. This station became known to the world community, as it was built in 100 days by Tesla. At this stage the station has not yet reached its maximum efficiency. According to experts’ forecasts, this should happen in the next four years. As a result, a virtual system with a capacity of 250 megawatts will be able to connect 50,000 consumers (at the moment there are 37,000 households among those wishing to participate). Australia also practices the use of virtual power stations in residential areas. In addition, a large virtual system is located in the city of Munich. It was installed back in 2010. The number of network consumers is approaching 20 thousand. Another virtual power station is installed in the Hawaiian Islands. There are 3,200 consumers connected to this system. In fact, it is also possible to introduce virtual power stations on the territory of our country. The only notable obstacle is the imperfect legislative base. The fact is that Ukrainians have the right to purchase electricity only from oblenergo. Such restrictions exist not only in Ukraine, but also in many other countries of the world. An interesting solution to this problem was found by the inhabitants of Brooklyn (New York). They acquire from each other kilowatts for bitcoins. Since the crypto currency in the US is not recognized, then no one in fact violates the law, and the system operates within a whole quarter.